As the philosopher of revolution in permanence, Karl Marx has a particular relevance to our time. Recent events–like the economic crisis that became acute in 2008, the upheavals of the Arab Spring, the prisoner strikes, and the occupations movements–all testify to the value of and the need for such a philosophic view. That is so because the goal is human freedom. Moments when the idea of freedom spreads worldwide are something like the appearances of a great comet. If you’re lucky it comes around once in your lifetime. But it doesn’t come from out of the cold depths of space; rather it comes from the very heart of humanity and unfreezes social relations. Suddenly the impossible becomes eminently possible, the seemingly unthinkable becomes a new language, and the formerly “hopeless” become activists and thinkers. The historic scope of such moments clearly reach beyond the limits of any one individual’s life. Marxist-Humanists understand the most important biography is thus “the biography of an idea,” the inner life and logic of the Idea of Freedom. Nevertheless we can learn a lot from the way Karl Marx is presented in contemporary biographies, even if the particular writer has his/her own ax to grind. This is certainly the case with the two recent widely reviewed works, Love and Capital: Karl and Jenny Marx and the Birth of a Revolution, by Mary Gabriel (2011); and Karl Marx: A Nineteenth Century Life, by Jonathan Sperber (2013). 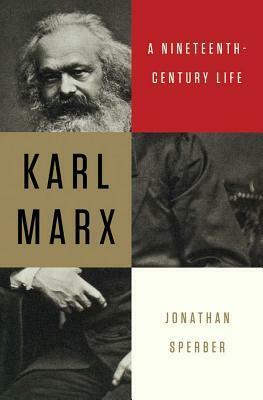 Both books cover the basic outline of Marx’s life from his birth in Trier, Prussia, in 1818 to his death in London in 1883. Sperber’s book (through his appearance on The Daily Show with Jon Stewart) might be considered the closest thing to a pop culture biography of Marx. “He loved being somebody the bourgeoisie was afraid of,” Sperber told Stewart, a snarky comment that does capture the spirit of his book: Marx as minor celebrity, to be remembered for his quirks, if not actually as a quirk of history. Sperber, who has previously written a history of the 1848 European revolutions, works hard to limit the relevance of Marx’s ideas to the span of his mortal life. He claims that Marx’s work was essentially finished between 1850 and 1870, and that “The results of his theoretical deliberations are frustrating to interpret…Marx’s writings after 1850 on philosophy, society and history were fragmentary: snippets of journalism or suggestions from correspondence, relevant passages in political polemics, or economics treatises…he never produced an extensive theoretical work, which has led commentators to focus their attention on his 1840s manuscripts…” (387-388). While this is ludicrous on its face, Sperber is making a point. Because he disregards Marx as the philosopher of permanent revolution–the determinant of Capital‘s structure–he needs to adopt another understanding of Marx’s project. He finds this in some very old post-Marx Marxist ideas. Thus he describes Marx’s intellectual development after 1850 as an attempt to reconcile an early Hegelianism with positivism and “empirical science.” He even claims that “dialectics disappears” from Marx’s later writings. Again, ignoring the achievement of Capital and its dialectical structure, he writes that “Marx toyed with the idea of writing a treatise on dialectics…This treatise was intended to ‘shake off’ the ‘mystical form’ in Hegel’s version, and might have addressed the question of the compatibility of Hegelian thought with the positivist intellectual priority for the natural sciences” (398). Early revisionist Eduard Bernstein would have recognized this argument. 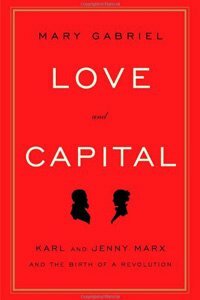 When he finally does take up Capital, Sperber reads it in light of the “Marx” he’s created. So even the section in Chapter 1 of Capital on the fetishism of commodities is presented by Sperber as another conflict between Hegelianism and positivism–minus the revolutionary proletariat, which, as the embodiment of permanent revolution, transcends the fetishism and opens the way to freedom. To the contrary, Marx decides in his last decade that the accumulation of capital is only the universal in capitalism, but not a universal of world development–non-capitalist countries might experience other forms of development, in conjunction with revolutions in the capitalist countries. Again, for Sperber the Paris Commune isn’t important because of its impact on the structure of Capital or the real movement toward transcending capitalism, but for making Marx a European celebrity. By insisting on limiting Marx to “his” time, Sperber is driven both to falsify Marx’s real ideas and to ignore the real history of Marxism. This would begin with the debates on imperialism that followed in the next generation of revolutionary thinkers like V.I. Lenin and Rosa Luxemburg. These debates took up Marx’s views of the tendency of the falling rate of profit, on “primitive” accumulation, and so forth. They were profoundly informed by Marx’s Capital, and were actually debates over its meaning. The real issue was the recreation of a philosophy of history that could illuminate the new paths to revolution and freedom that a new generation was aiming for. It is simply not true that Marxism found its continuity in an adaptation to positivism. Rather, it was found in Lenin’s return to study Hegel’s dialectic after the collapse of the Second International in World War I. By 1953 Dunayevskaya had articulated this self-development of the Idea of Freedom as Marx recreating Hegel’s Absolute Mind as both a New Humanism and as revolution in permanence. Sperber is not as dishonest in his coverage of Marx’s personal life. He gives him some credit for making the best life choices available to a man of his time and class background. But this only underlines why Mary Gabriel’s less “theoretical” book is also so much more interesting. Gabriel’s book is, as its title suggests, actually a study of the whole extended Marx family, both Karl and Jenny and their surviving children, Jenny, Laura and Eleanor, the unacknowledged son, Freddy, their housekeeper Helene Demuth, and Friedrich Engels. Her biography is thus something like a period novel, like The Forsyte Saga or Buddenbrooks. Like one of those old novels it even has an extended list of characters to keep everybody straight. But instead of the history of a family’s fortunes, or its rise and fall in the capitalist order of things, it is the history of a family defining itself in opposition to capitalism, and in relation to revolution. Gabriel’s inspiration for writing came from the simple fact that there wasn’t another book that quite told that story. 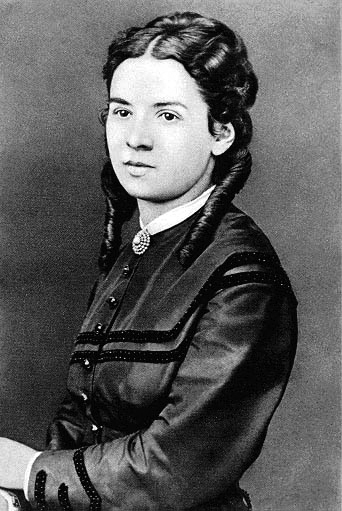 She describes both the great strength and weakness of her book: “What I found was that every aspect of Marx’s philosophy, every nuance of his words, had been dissected, and that scores of Marx biographies had been written from every possible political perspective, but that in English there was not one book that told the full story of the Marx family” (p. lv). In fact, Marx’s philosophy and work continue to reveal new “nuances.” She has little to say about that. What is most fascinating here are the family details, particularly regarding the Marx women. Unfortunately, there isn’t a lot new on Jenny Marx herself–she does inspire respect for having renounced her class position for the life of a revolutionary. The daughters, though, come across much more vividly. With them comes a profound sense of tragedy. Both young Jenny and Laura married French revolutionary exiles who struggled to make their livings in England. Jenny died early in 1882 of cancer; Eleanor committed suicide in 1897, betrayed by Edward Aveling, her scoundrel husband and a translator of Capital into English; Laura died along with her husband, Paul Lafargue, in a double suicide in 1911. Likewise there is Freddy’s tragedy. He was the unacknowledged son of Marx by Helene Demuth, Marx’s housekeeper, who was also a committed revolutionary. His paternity was covered up (and claimed by Engels) in an effort to spare Jenny Marx’s feelings. Though he survived longest of all the children, until 1929, he was never sure of his father’s identity. This isn’t a story of snark and celebrity, but of the deep human cost involved in trying to live out one’s convictions, and sometimes failing–as humans will often do. 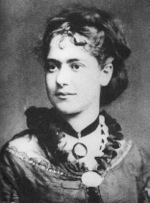 In a sense, Eleanor Marx comes across as the true heroine of the book. As an original character she actually embodies everything that would become great in English Marxism. She was deeply committed to Irish freedom from an early age, for example. She was also a pioneering feminist, as translator of Flaubert’s Madame Bovary; as an actress in Ibsen’s A Doll’s House; as a close friend of South African feminist writer Olive Schreiner. Eleanor was connected to the Bohemianism of the time, as a friend of William Morris and George Bernard Shaw. She was also one of the first intellectuals to grasp what it meant to go lower and deeper into the proletariat. She supported the dockers’ strike of 1889 and organized among the destitute of London’s East End. She wrote a description of the brutal conditions there: “The district was mean and cramped. The houses were squat and seemed even more so because of the factory chimneys that towered over them, spewing filth and ash. Did the sun rise? Did it set? It wasn’t evident in Whitechapel, Bethnal Green, and Limehouse” (p. 543). She would not have shrank from today’s Homs or Cairo, Pelican Bay or Juarez. Eleanor’s life remains exemplary in these aspects. Mary Gabriel allows us to see how the Marx family affected her development. By suggestion, she does more, too. It is clear that as Marx was researching the development of the family, of patriarchy, he was also living out its contemporary expression in a way that must have informed his researches. Behind the researches of Marx’s late Ethnological Notebooks there stands a great, unspoken drama of conscience that we have barely begun to understand. Indeed, the continuities and discontinuities of history compel continual returns to examine the path here. Hegel, Marx, and Dunayevskaya will continue to illuminate our steps. This entry was posted in Marxist-Humanism and tagged biography, Capital, Daily Show, dialectic, Eleanor Marx, Helene Demuth, Jenny Marx, Jonathan Sperber, Karl Marx, Karl Marx: A Nineteenth Century Life, Laura Marx, Love and Capital: Karl and Jenny Marx and the Birth of a Revolution, Marx, Mary Gabriel, positivism, Raya Dunayevskaya, Vera Zasulich. Bookmark the permalink.